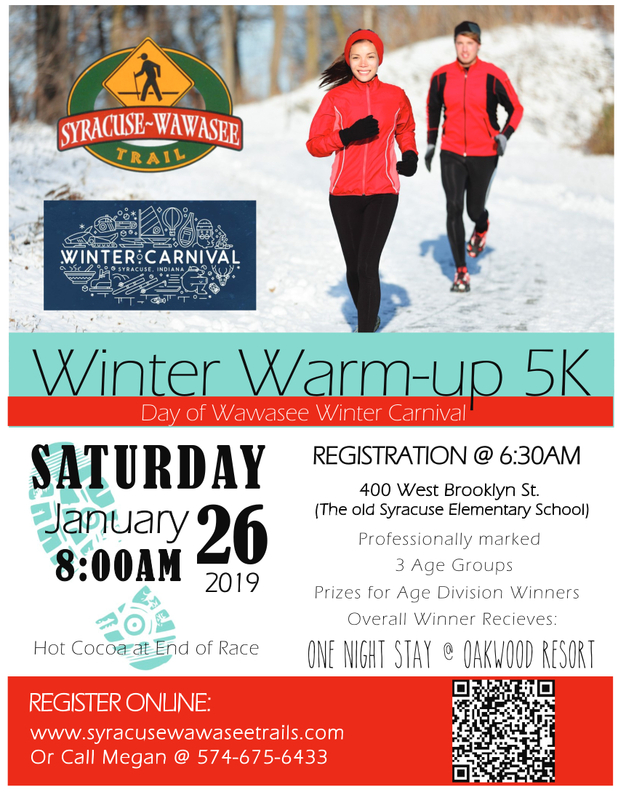 Join us on Saturday, January 26, 2018 at 8:00am for our Winter Warm-up 5K at the Wawasee Winter Carnival. Pre-register at runsignup.com or register the day of beginning at 6:30am. For more info, call Megan at 574-675-6433 or email ed@syracusewawaseetrails.com.